Whether the accomplishment is the utterance of first words or sentences, the first steps, or going from a bottle to a sippy-cup, we like celebrating our baby’s milestones! And then there is the big and explicit milestone of each passing year. 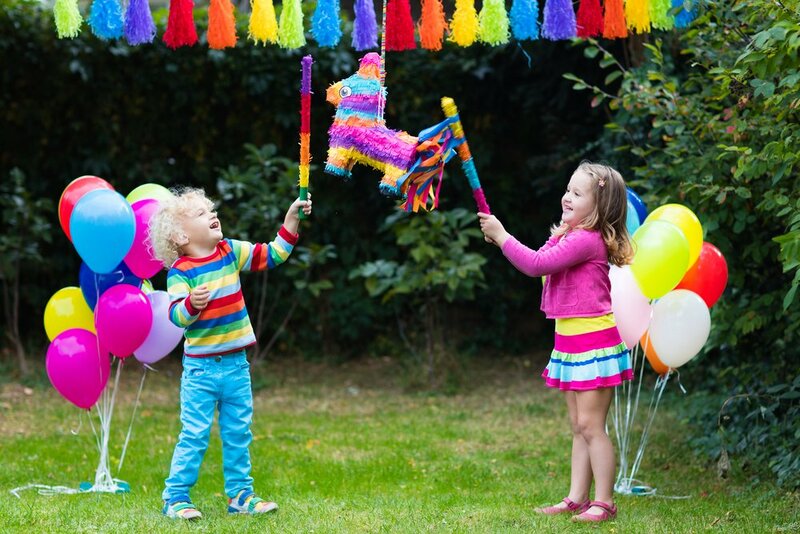 It’s important to know how to navigate the celebration of a birthday and make sure your kid has lots of fun without most of the fuss, so this article is a compilation of what experts advise for 2 to 4-year-old’s birthday parties and celebrations. Most 2 to 4-year-olds will be more than happy when surrounded by liked people in a festive mood, with some decorations, a few games or craft projects, and a yummy cake. Trying to overly impress your kid with planning complex presentations might be counterproductive, as it might prove overwhelming for both of you. The acclaimed book What to expect: the toddler years recommends planning a second or third birthday party using the 4 “S” guidelines: small, simple, sensible, and short, for we all know toddlers are known for being predictable only in their un-predictability. It may be a good idea to have the guest list comprised of mostly well-known and liked adults that your toddler feels comfortable around. If you plan on inviting other young children, a safe bet is following the “one guest for every year of age” advise, and giving the moms or dads of those children the opportunity to stay for the entire party, so that you have enough adults around to help if needed. Instead of buying heaps of toys and filling your house with expensive decorations, focus on the interactions with friends and family because that will make for lasting happy memories. Schedule the party to accommodate your kid’s routine, especially if he is very young, in which case keeping the party short may be best, between an hour or two. For small kids, a party at home, whether indoors or outdoors might be the most comfortable. Also, arranging to bring the fun and the cupcakes to the daycare center can be a good idea. Include your child in the planning, whether by choosing his favorite cake or ice cream, deciding on some simple decorations or theme, games, etc. Some psychologists point that people of all ages enjoy looking forward to an event more than looking back upon it. Serve kid-safe foods and beverages. Most of what parents would consider party food, like nuts and grapes, are notorious choking hazards. Slices of bananas with a small spread of peanut butter, thin apple slices, toddler-safe crackers, and small cupcakes are some healthy and practical options. For beverages, avoid filling the little one’s cups to the brim, and avoid permanent stains by opting out of deeply hued juices like grape. If you plan on having a show at the party, a storyteller or a children’s music singer can be a great entertainment idea. Keep games short and fun instead of competitive. For example, “Duck, duck, goose”, musical statues, and dance the “Hokey-pokey”. You can also propose an age-appropriate craft option if your kid likes those, like making finger poppets, nature collages, etc.